It's December! My favorite time of the year! 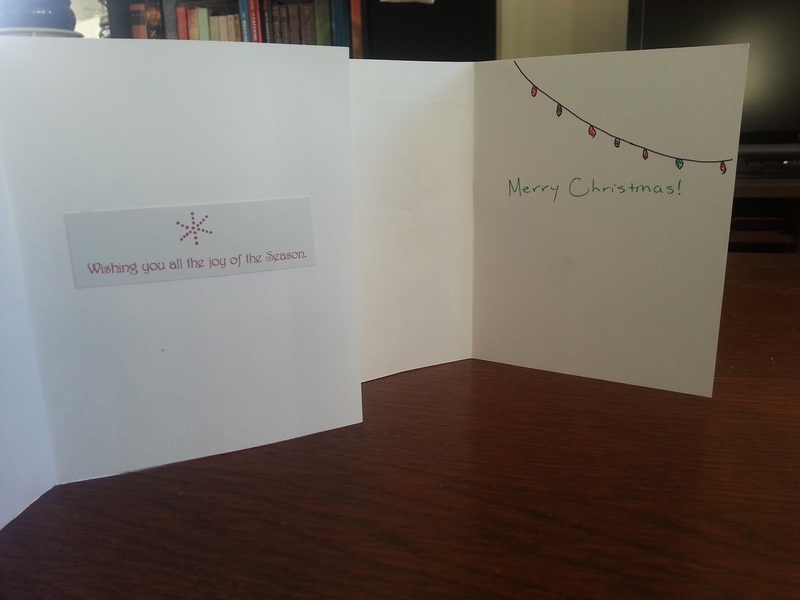 I decided to get a jump on my Christmas cards this year. The past couple of years I've been making my own Christmas cards, as well as cards for many other occasions. I have all the tools around to make cute cards, and it's not difficult to get creative and make custom cards for people! Not to mention all the money you save after the initial investment in some card stock and other materials. 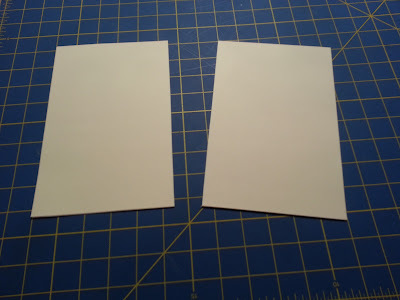 When you think about it, I recently picked up a package of white card stock at Jo Ann's for about $3 on sale, and most cards these days would cost about that much or more! 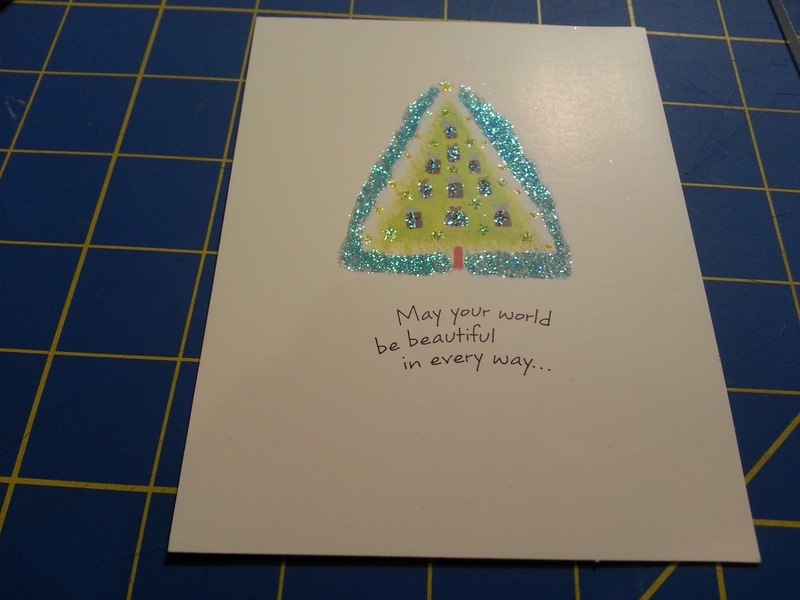 For example, this particular card I sent out numerous times during my early 20's. 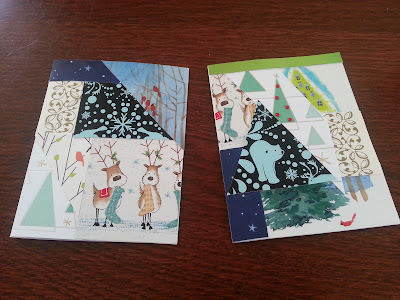 My friend Lori, who is the Martha Stewart of Christmas cards, once said something like, "Laurie, you sent me this card already!!!" I may have sent them out like three years in a row. AND LOOK, I STILL HAVE SOME LEFT OVER! I must have gotten a 30 pack or something! 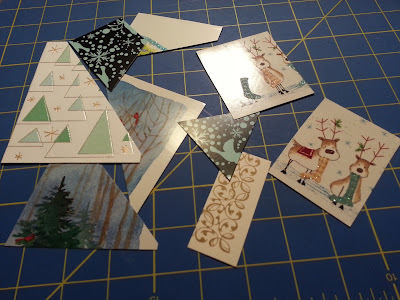 So in light of the stock-pile of cards I own that I have no use for, I had the idea to use the cards I already had to make new Christmas cards! 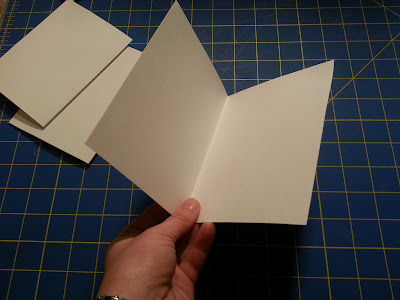 Begin by making "cards" out of your card stock. 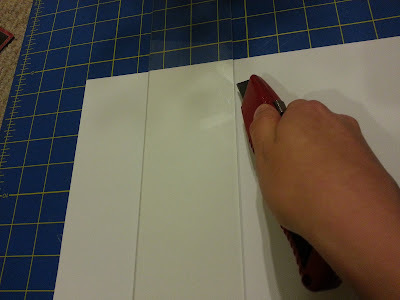 This consists of cutting it in half and then folding the two pieces in half. Go ahead and start cutting those cards into pieces. 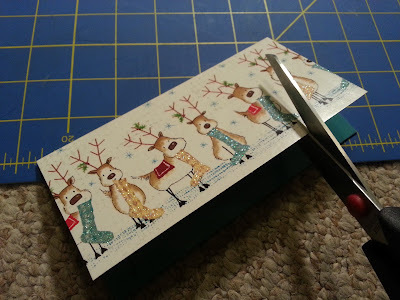 If you have an issue with cutting up cards other people have sent you, then just stick with your leftover cards from the past. Then, all you've gotta do it glue those pieces onto the front of the card in cute and interesting ways. Using different kinds of angles will make it visually interesting. Here's a finished product. 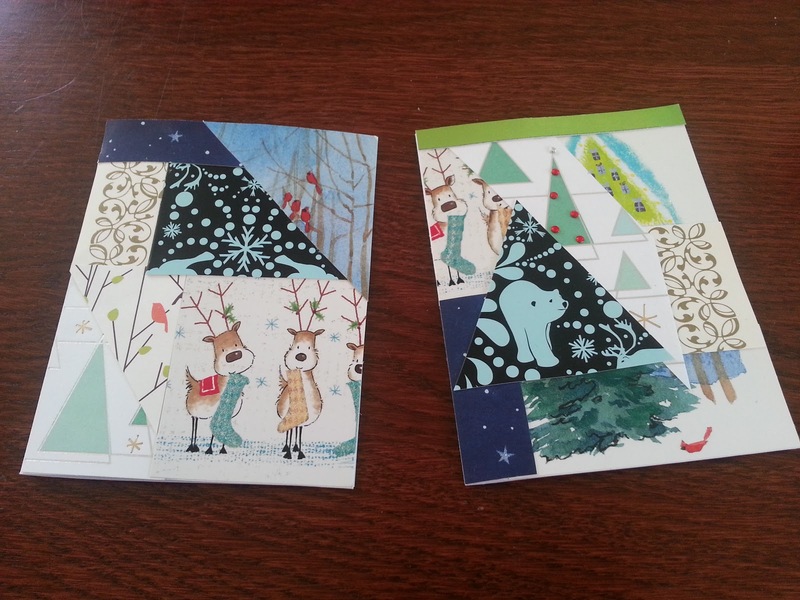 For the insides, you can either cut and paste the greeting from the insides of the old cards, or write your own message. Cute, right? Your very own "Frankencards"! 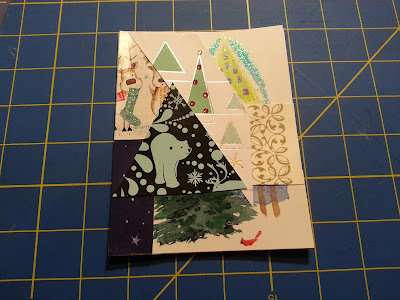 If you liked this or you have some of your own DIY Christmas card ideas, let me know in the comments! And don't forget to follow me on Facebook and Twitter!